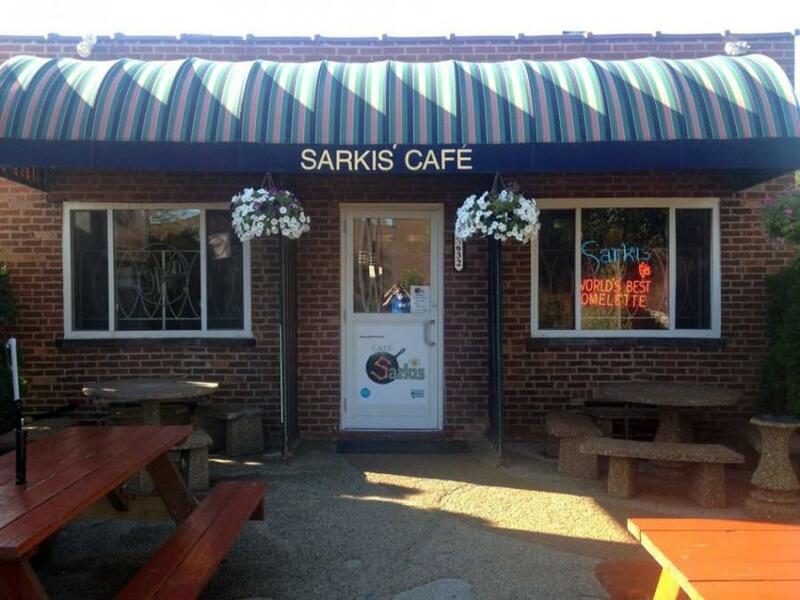 Sarkis Cafe, an Evanston restaurant, is located at 2632 Gross Point Road. Marla Cramin, the owner of Sarkis, filed a lawsuit against her brother saying he is claiming a false affiliation with the cafe in a new restaurant he’s planning to open. The owner of an Evanston cafe and her brother reached a tentative settlement agreement Wednesday in a Cook County court following a dispute over the opening of a new restaurant. Marla Cramin, the owner of Sarkis Cafe, 2632 Gross Point Road, filed suit against her brother, Scott Jaffe, last week for claiming a false affiliation with her cafe in a new restaurant he’s planning to open in Highland Park. She said he is using the cafe’s concepts and signature dishes for his future restaurant, Order Up Diner. “He is trying to harness my goodwill and my name and reputation into something profitable for him without paying for the name or any of the other goodwill that comes with it,” she said. Cramin said Jaffe created a Facebook page where he posted pictures of himself in Sarkis’ T-shirts and with the original Sarkis owner, Sarkis Tashjian, who opened the Evanston location in 1965. Jaffe posted on the Facebook page that his new restaurant will bring customers “old favorites,” according to the suit. Facebook users have also commented on the page making the connection between the two restaurants, saying, “Sarkis fave in HP!!! Welcome to HP,” according to the suit. Jaffe previously worked as the manager at Sarkis but was dismissed in 2012 after Cramin learned the restaurant had not been paying its taxes, according to the lawsuit. Before Jaffe took over the restaurant, Cramin’s husband ran the diner, but he died suddenly in an accident in 2002. Since Jaffe was fired, Cramin has been managing the restaurant, according to the lawsuit. “I trusted my brother to continue the legacy of my husband and history in a really positive way,” she said. Cramin first heard Jaffe was trying to start a new restaurant about a month ago when she discovered a post on Facebook, the suit said. Jaffe planned for the restaurant to open in early 2015, according to the suit. The suit says Sarkis will be “irreparably harmed” by the misrepresentation that the two restaurants are related. The cafe’s reputation will be tarnished, and it will lose customers who will eat at the Highland Park diner instead, according to the suit. Jaffe could not be reached for comment Wednesday. Cramin said the cafe, which is approaching its 50th year, still has the same “soul” it has always had. She added she hopes it will continue to honor the legacy of her husband. The next court date is scheduled for Tuesday, where the parties will discuss further the terms of the settlement agreement, Rosenberg said.